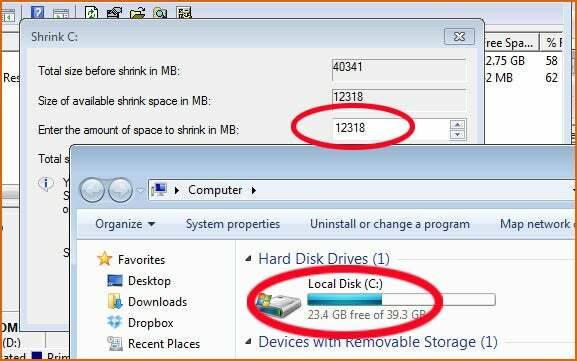 David Beanblossom asked how to split a hard drive into multiple partitions. When we talk about "drives" labeled C:, D:, and so forth, we're actually talking about partitions, sections of the physical drive. Every hard drive in use has at least one partition. You can shrink that partition and create new ones out of the extra space. You'll find this useful if you want to install more than one operating system, or if you want to truly separate programs and data. But first, you need to take some precautions. If you don't already have one, make a full image backup of the entire drive. Disasters happen. You might also want to empty the recycle bin. If you still don't have enough room, you can move files to an external drive. Once the partitioning is done, you can move them back to the new partition. Now you're ready to do the actual parititoning. Windows 7 and 8 both come with a reasonably useful partitioning tool. It will probably serve your needs, and if it doesn't, you'll know soon enough. In Windows 7, click Start, or inWindows 8, go to the Search charm. Either way, type partitions (and yes, you need the s), then select Create and format hard disk partitions. The Disk Management program will come up. To shrink the existing partition, right-click it and select Shrink Volume. Then wait. It may take a while Eventually, a dialog box will ask how much you want the partition shrunk. The default number will be the maximum available. And therein lies Disk Management's problem. If the current partition has 228GB free drive, you should be able to shrink it by anything less than 228GB. But Disk Management may not let you shrink it anywhere near that much. If the program won't allow you to shrink the partition as much as you want, skip to the last paragraph. Your drive may have 23GB of free space, but Disk Management may only let you have 12GB of that. 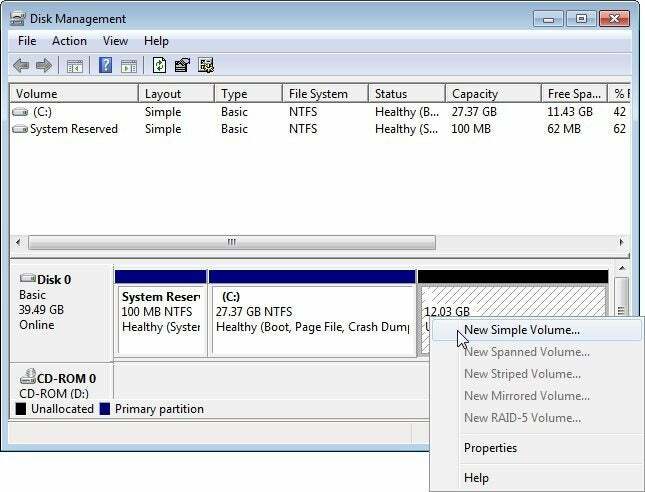 Let's assume that Disk Management allows you to shrink the partition sufficiently. In that case, set the right size, click the Shrink button, and follow the prompts. 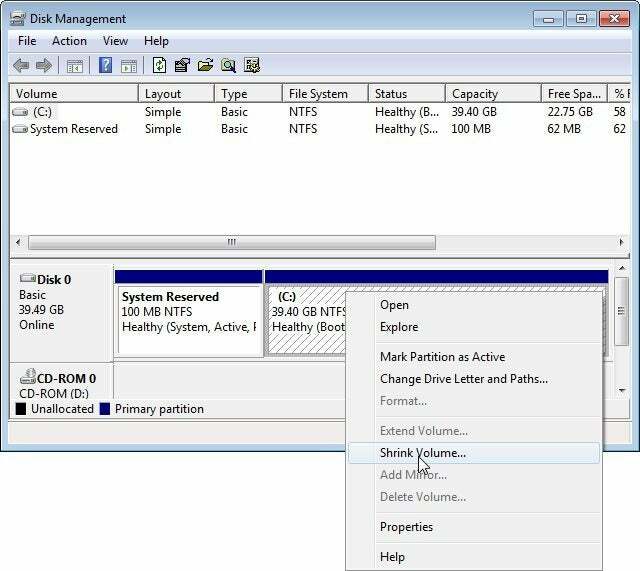 When the resizing is done, right-click the physical drive's unallocated space and select Simple New Volume. But if Disk Management can't shrink the partition as far as you want it to, it's time to go with a third-party program. I recommend EASEUS Partition Master Free. It's simple and, as the name implies, free. And it can shrink your partition until there's almost no empty room. But when you install it, select the Custom Install option to avoid installing extra, unwanted programs.